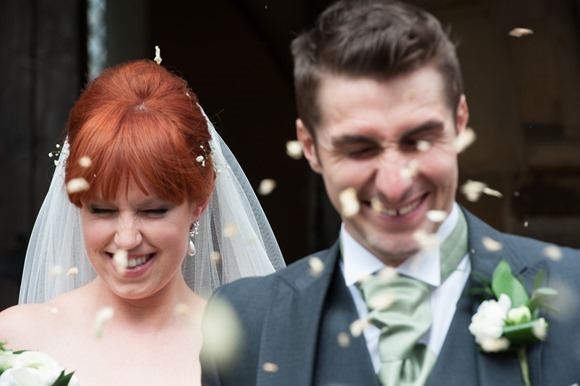 Completely blowing the theory that “red and green should never be seen”, flame haired beauty Lucy and her new husband Kev chose a fresh and fruity backdrop for their fun and fabulous Real Wedding in North Yorkshire. 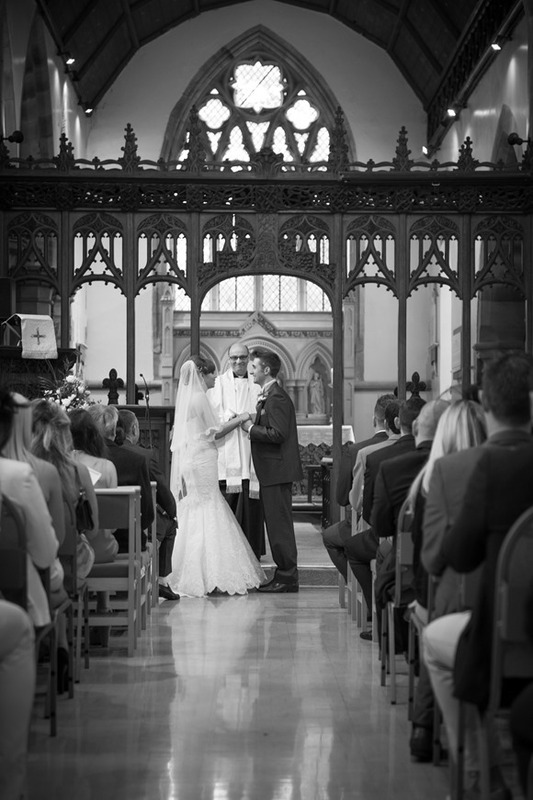 With images by Nigel Playle Photography. 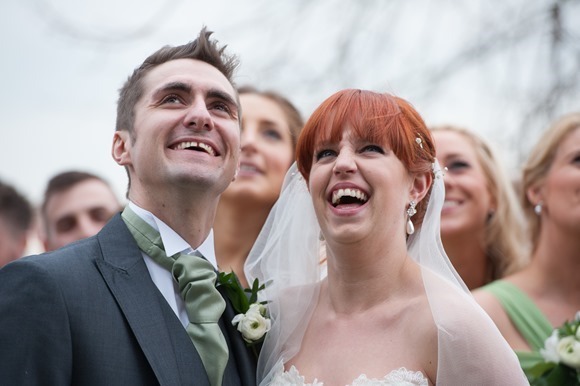 Lucy says: We got engaged in June 2014 at home before we travelled to London to Radio 1’s Big Weekend in Hackney to celebrate! I was trying to eat my breakfast when Kev got down on one knee. He wanted to propose in London but couldn’t handle the pressure of not losing the ring before he did it! 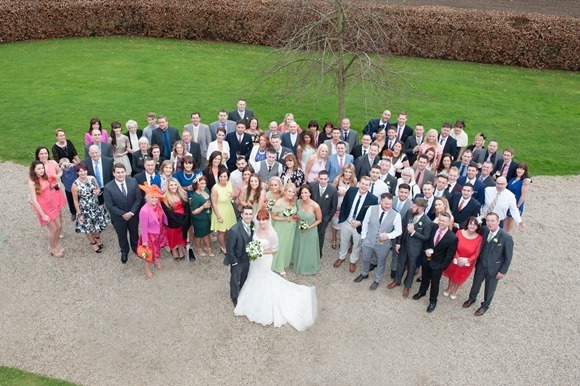 We got married on Saturday 5th April 2014 in Long Newton, Stockton-On-Tees. 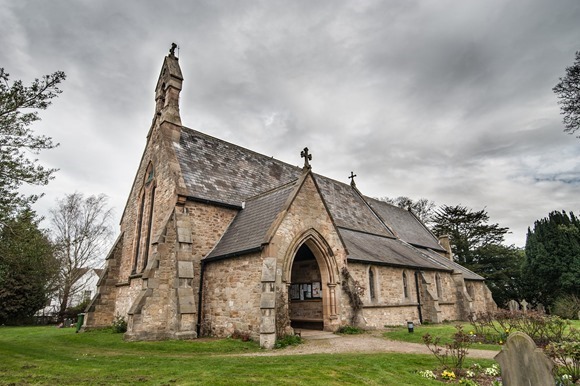 It was the church where my parents got married and also where I was christened. 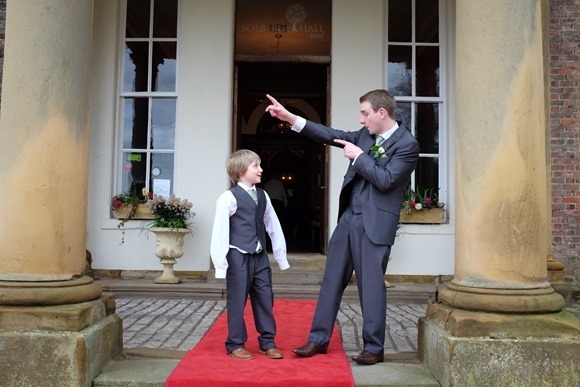 We then had our reception at Solberge Hall, just near to Northallerton. 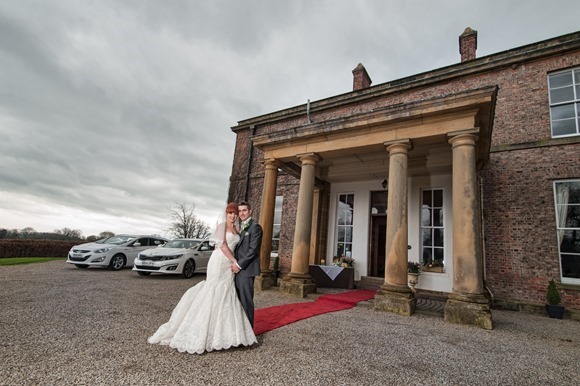 We wanted somewhere that had an intimate feel to it but big enough for our wedding and as soon as we drove up the winding drive and saw Solberge Hall we knew it was for us. 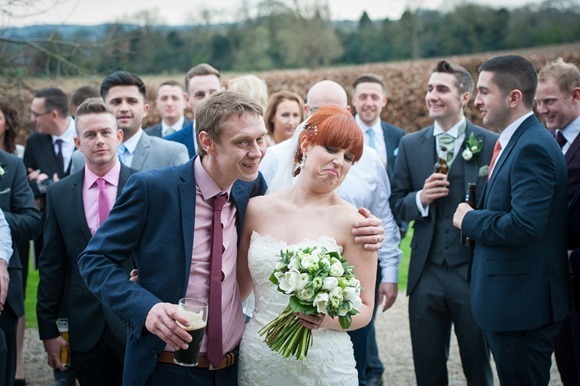 Set in an idyllic country surrounding, the views were beautiful and it was everything we wanted in a venue. 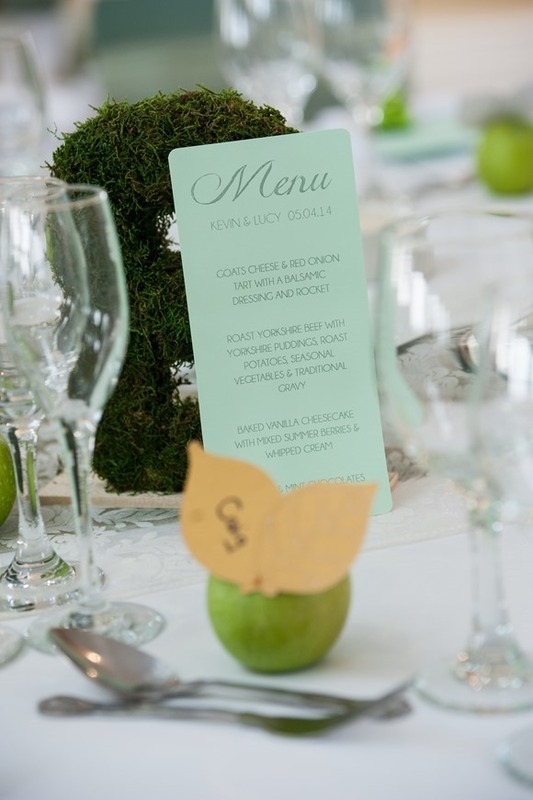 The theme started with the colour green and kind of expanded from there into incorporating different hues of green throughout the day. 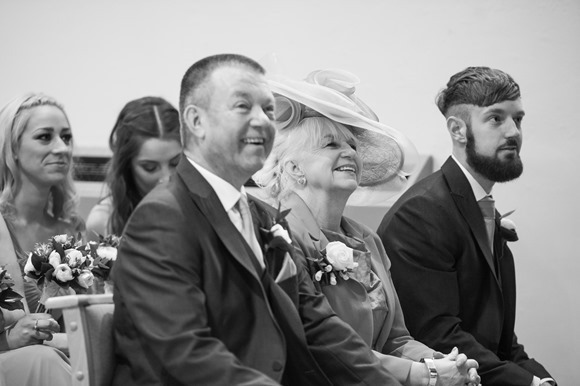 I also just wanted everyone to have a good time so there were plenty of fun elements like a sweep for The Grand National that took place on our wedding day and also one for the speeches so everyone was involved. 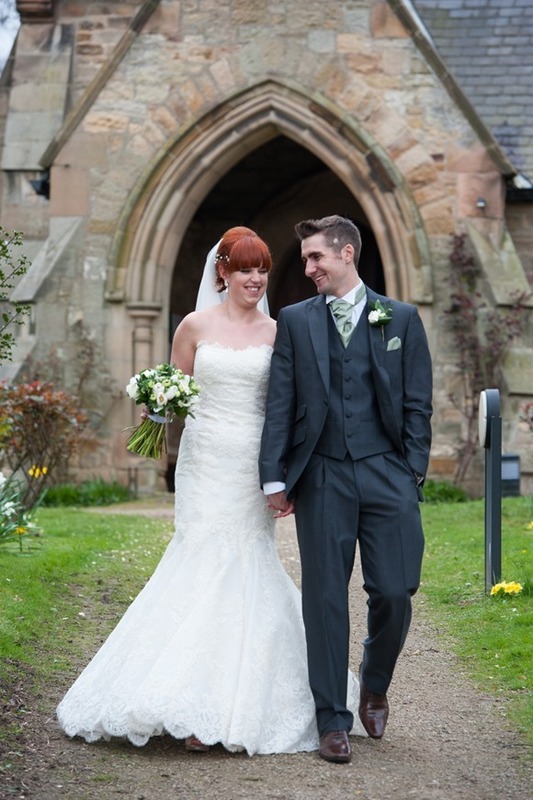 My dress was an ivory fishtail lace gown by Enzoani from Poppy Bridal in Darlington. I had no idea what type of dress I wanted and must have tried on at least 30. 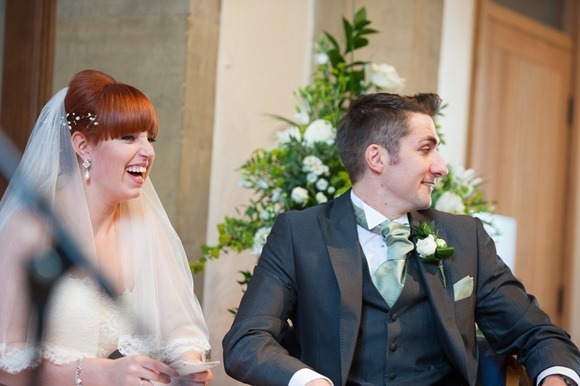 They only had this dress in black in the shop and as soon as I put it on I loved it and the ivory was just as beautiful! 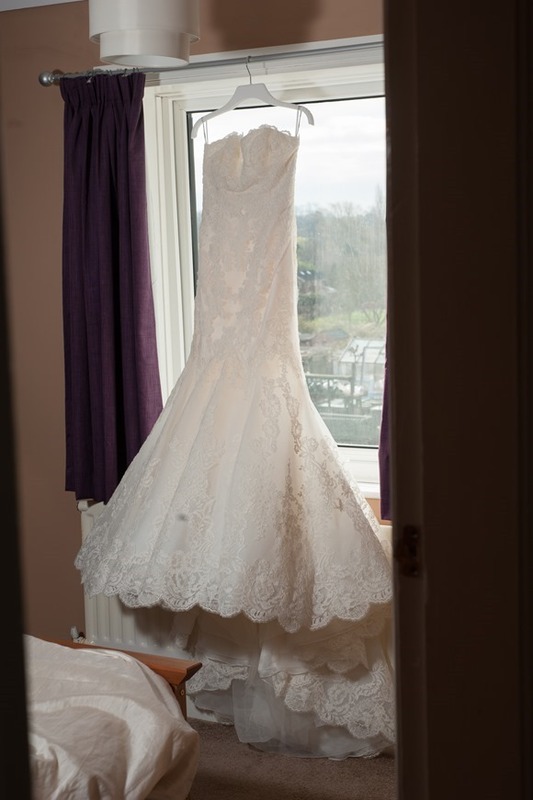 I originally didn’t want a veil but the veil I chose was also lace and complemented the dress perfectly so the decision was easy! My shoes I got from Karen Millen in the sale and these turned out to be the hardest part of the outfit to find! 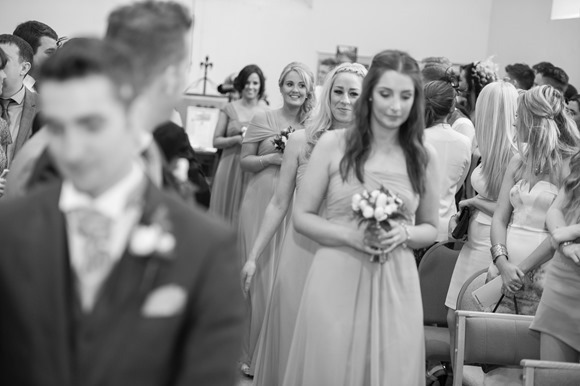 The bridesmaids wore Dessy dresses in Apple Slice. 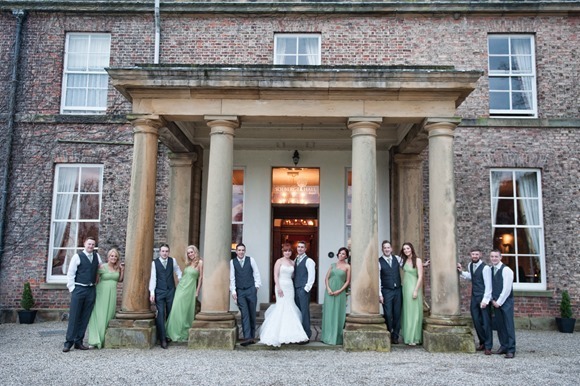 My chief bridesmaid wore a slighter darker green and the sleeves were interchangeable so the bridesmaids could wear them however they wanted. 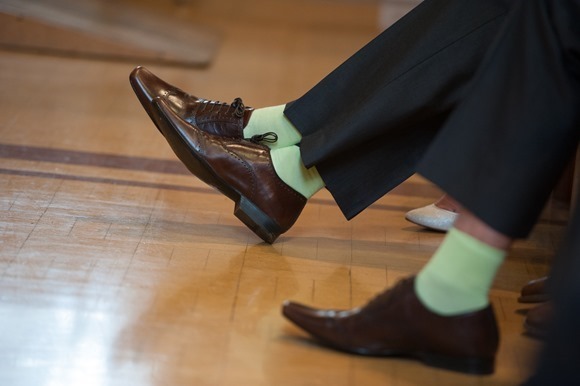 The groomsmen wore dark grey suits from Butterflies in Stockton and green socks of course to go with the theme! 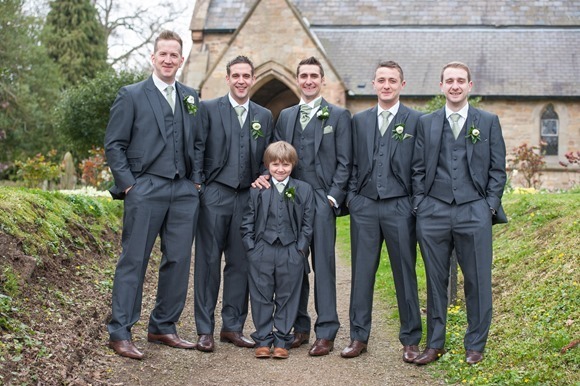 We all went to Saks in Yarm on the morning of the wedding to get our hair done and they did a great job with very different hair for everyone! 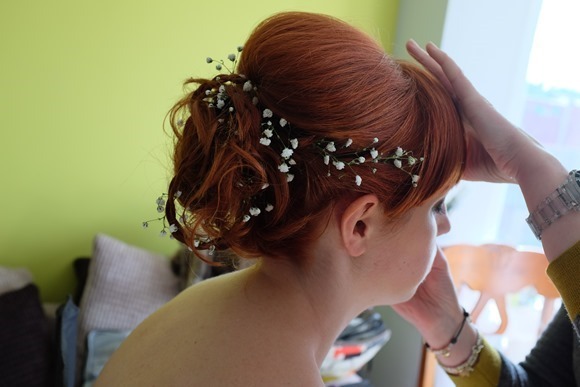 The florists provided me with some glitter covered flowers to put in my hair and it looked amazing when the light caught it. 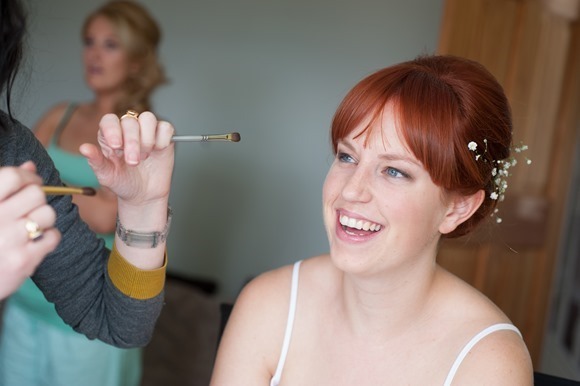 Jo from Make Up by Jo did my make up and I loved it, it was very natural with a smoky eye and was just what I wanted! 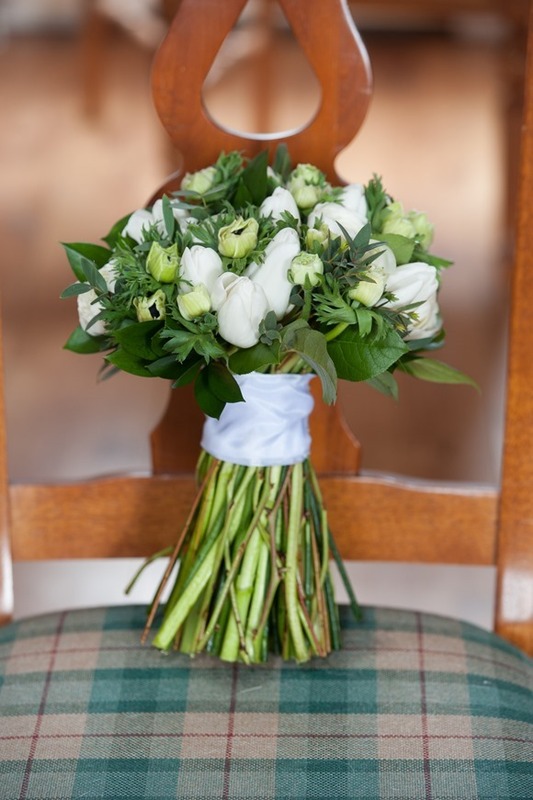 I carried a beautiful bouquet of white flowers including tulips, ranunculus and anemones. 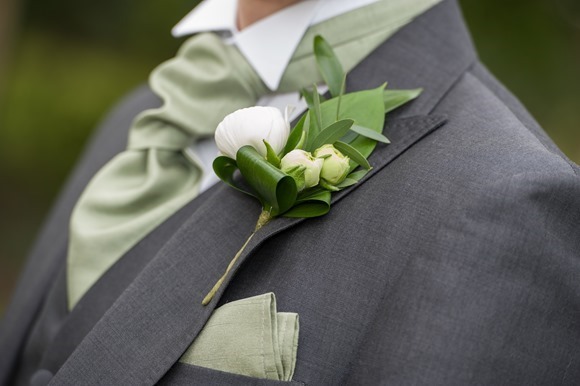 I wanted to use spring flowers and for everything to look really fresh. 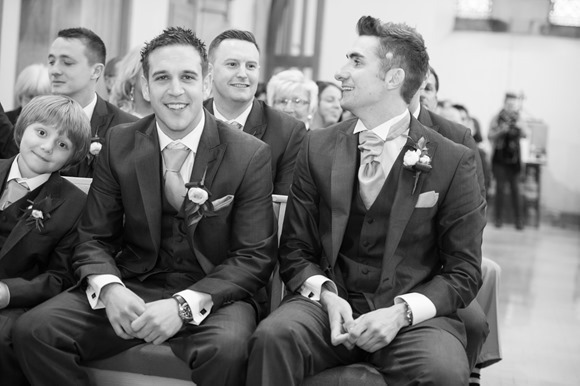 Flowerhouse in Stockton did a fantastic job with them. 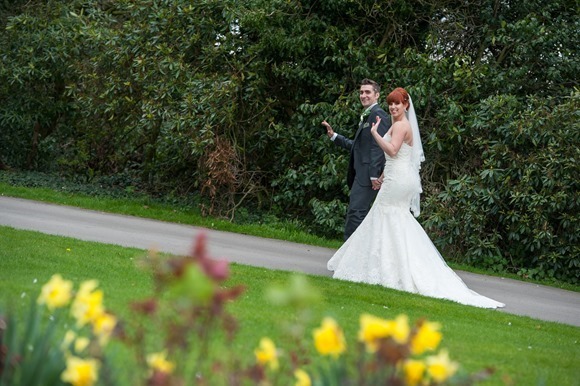 Our photographer was Nigel Playle Photography and he captured the day perfectly and I never felt that too much time was spent taking photos. He was so good at making us feel relaxed. 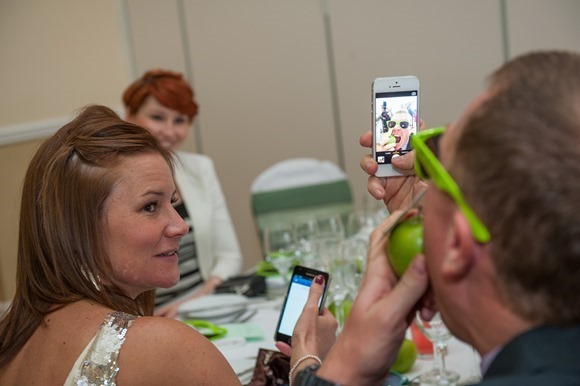 He also set up a propbox for the evening so guests could get dressed up and have photos taken. This was so much fun! 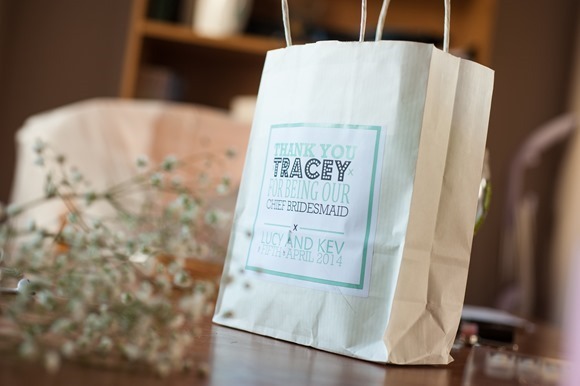 One of our very creative friends made all of our stationery for us and she was a godsend as she had some great ideas and everything looked so good. One less thing for me to worry about! 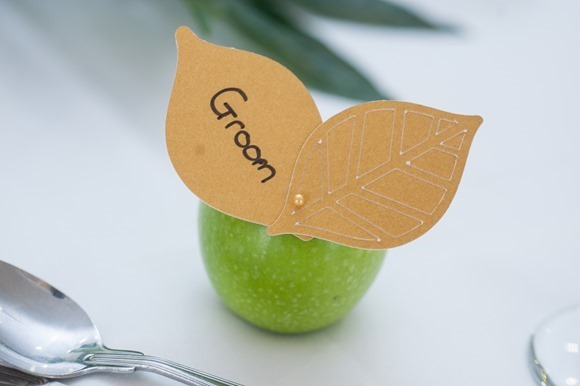 We used apples as place cards to fit in with the green theme and cut out some gold leaves with names on them to attach. 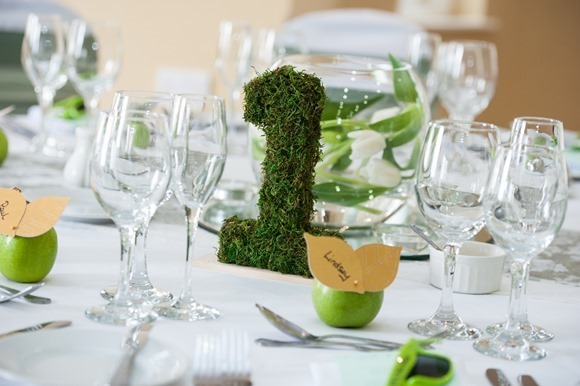 These really looked great on the tables with table numbers made out of moss which our friend also made. 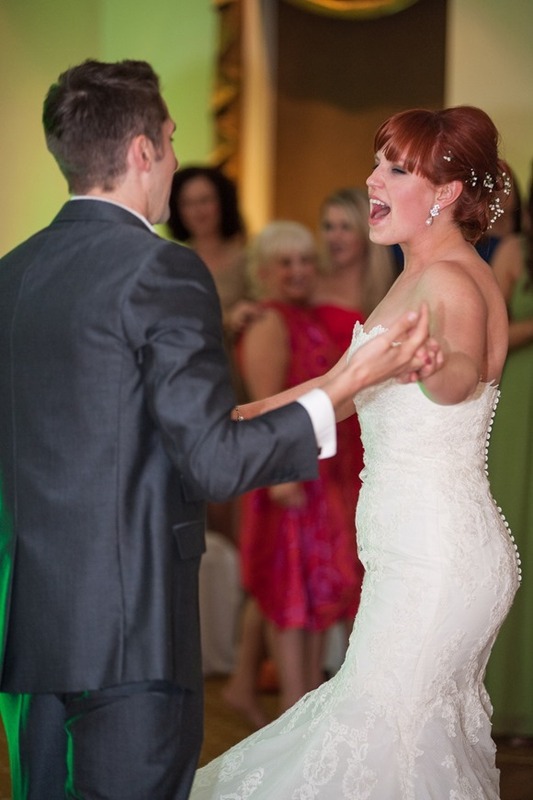 We had a singer, Samantha Durnan performing as guests arrived and also after the wedding breakfast. She was fantastic and really set the tone for the day. 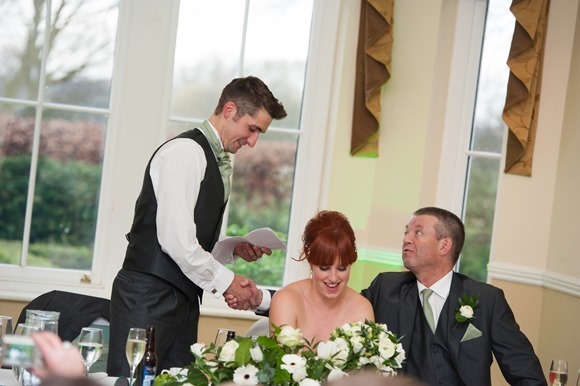 We also had a magician, Luke Howells, who my bridesmaids paid for as a wedding gift. 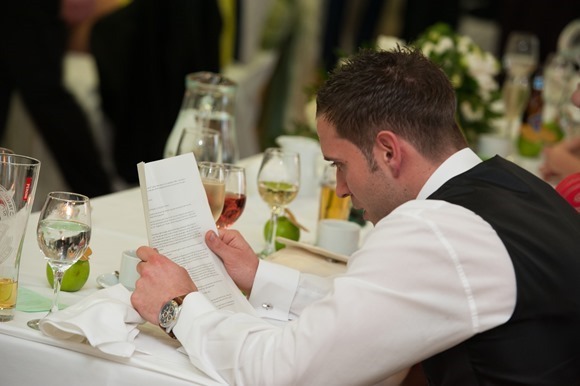 We had seen him at a previous wedding and he really wowed everyone and created a bit of fun which we wanted for the day. 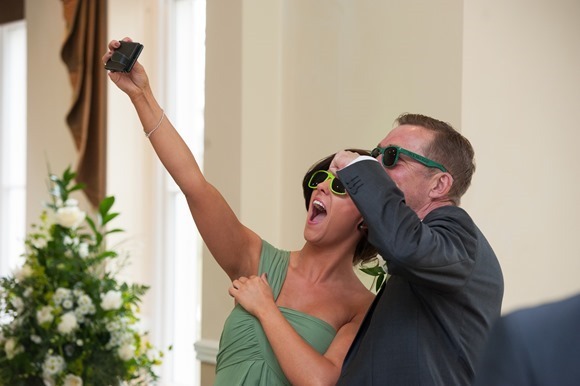 My favourite part of the day (aside from the actually ceremony which I loved as our vicar really made it special) was when we were announced into the wedding breakfast and the master of ceremonies asked everyone to raise their glasses and as we had sunglasses as favours everyone put them on for when we entered the room! 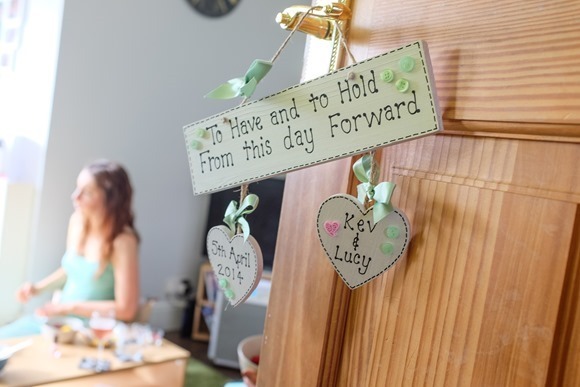 Our favours were one of my favourite things from the day. 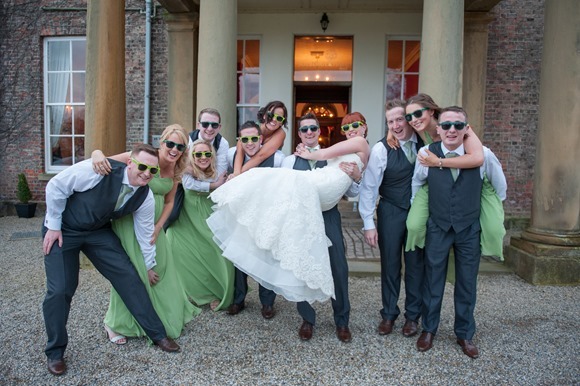 The personalised sunglasses were in two different colours of green, lighter green for the ladies and darker green for the gents. 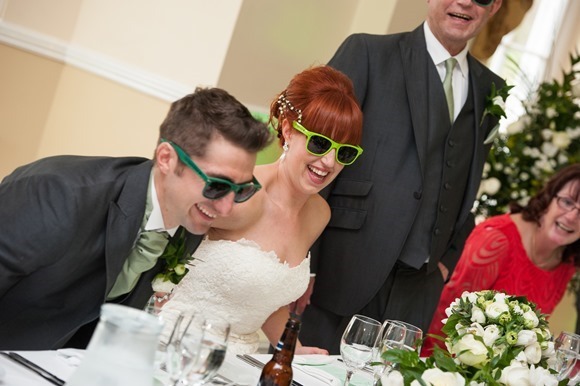 Everyone loved these and we got some fantastic pictures of all our guests wearing them. 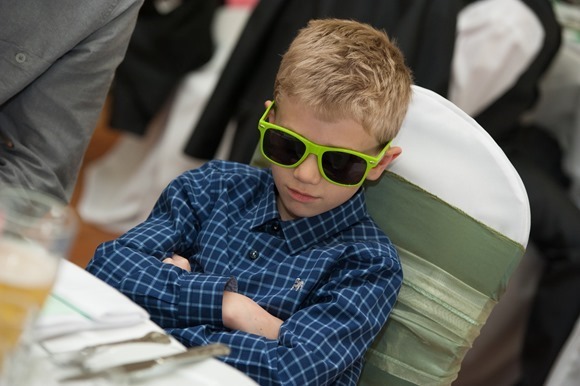 I got a lot of photos after the wedding of everyone’s children wearing them which I loved! We chose a three tier cake but had the tiers set out on different levels. 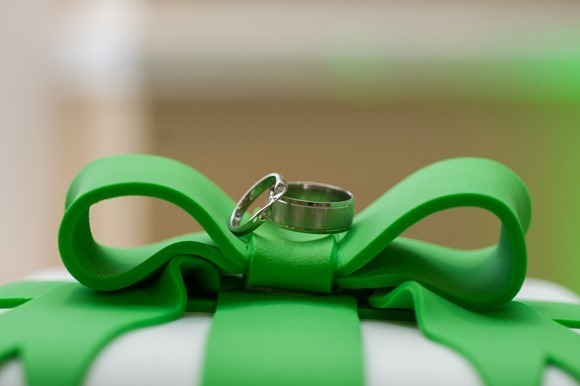 They were made to look like presents with green ribbon and also had sugar apples and anemones to bring in different themes from the wedding. This was made by Fairycakes & Co and I was so happy with it. We went to Cuba on honeymoon for two weeks. We travelled to Havana for two days whilst we were there to experience the ‘real’ Cuba and it was fantastic! 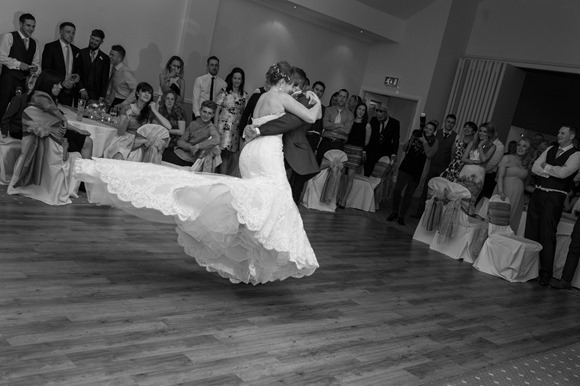 My top tip for other Brides Up North would be to just enjoy your day as much as you can, it really does disappear so spend as much time with the people you care about as possible and have fun. Don’t worry about the small things, everything will fall into place just as you planned! 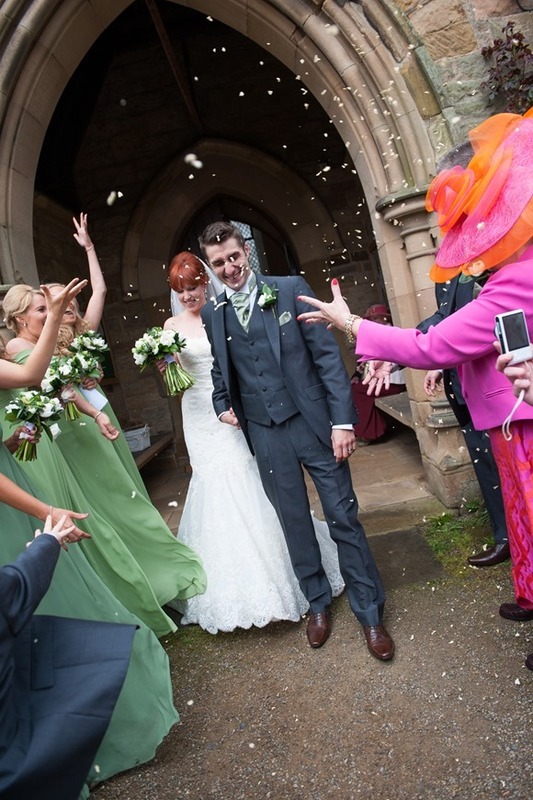 Fancy seeing your own Real Wedding on Brides Up North? Get in touch! Beautiful photos of what looks like a stunning day!